It's that time of year again folks, FAT TUESDAY IS TOMORROW! So, last week we met up with Pastry Chef extraordinaire, Jessica Marie of Grey Ghost who shared her super secret paczki dough recipe with us! See, Jessica is a badass baker born and raised in Detroit. She's worked at Townhouse, Public House & The DAC and was the runner up on Chopped last year!! We trust Chef Jessica's paczki dough recipe with our lives. See below for recipe deets. Don't feel like making your own? 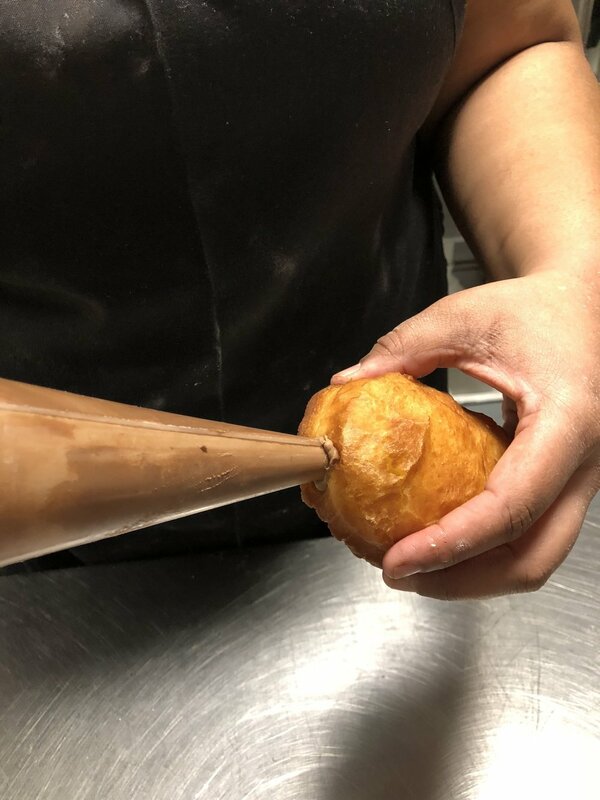 You can get your GG paczki fix at Grey Ghost (Rocky Road with chocolate peanut butter filling, peanut vanilla glaze, marshmallows, chocolate chips, crushed peanuts and fudge sauce) or New Order Coffee (Fruity Pebble) starting tomorrow. Combine the room temperature milk and yeast in a bowl of a mixer fitted with a dough hook and let stand until frothy (about 5 minutes). Add in the flour, butter, sugar, eggs and yolks and mix on medium/low speed for 4 minutes. Add in salt and mix on medium for an additional 2 minutes. Place dough into a greased bowl covered with plastic wrap until it has tripled in size (about half an hour). Turn dough out onto a floured surface to roll out on, and using a rolling pin, roll dough out to about 1/2 inch thick. 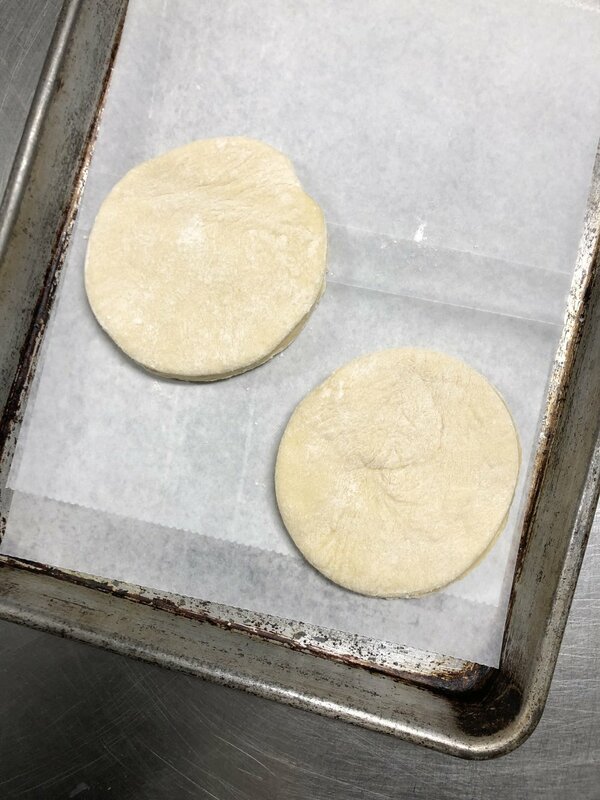 Using desired cutter size, cut out circles of dough and let them rest 10-15 minutes. To fry, heat oil up to 350 degrees and gently drop in dough one at a time, making sure not to overcrowd the pot. This will take 2-3 minutes per side. Remove from oil and if coating with granulated sugar, do so immediately, or wait for paczki to cool to dip in glaze.